Neither. 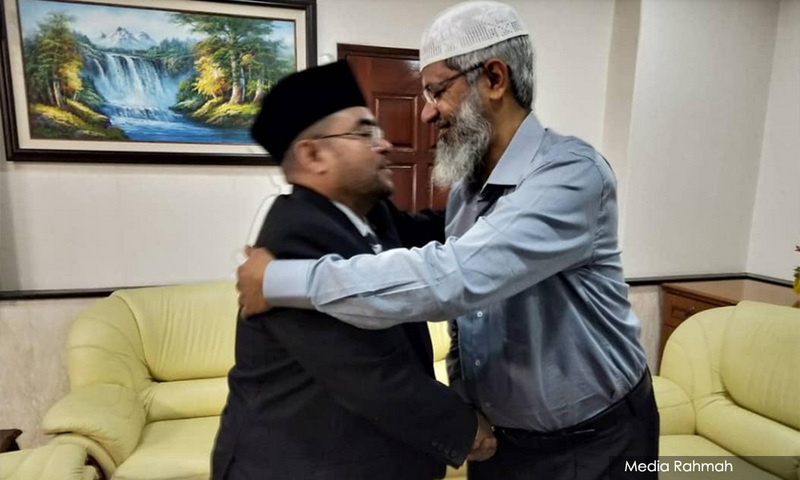 The happiest person is that fugitive from India, Zakir Naik, who has been given permanent resident status by Malaysia; who got red-carpet treatment and hugs from Minister in the Prime Minister's Department Mujahid Yusof Rawa, and is free to go about preaching his brand of Islam and creating disunity among multi-racial Malaysians. Why? The answer is obvious for all to see. His brand of Islam is gaining strength. His brand of Islam is that Muslims must vote for Muslims even if the Muslim candidate is corrupted to the core because he has iman since he goes to the mosque, and not for a non-Muslim candidate who may be the cleanest because he does not have iman as he does not go to the mosque. Race and religion have been strongly used in these by-elections with Hadi 'preaching' that Muslims must vote for Muslims, just like Zakir doing the same. So Zakir must be the most elated person to see that his brand of Islam is being accepted and practised by Malaysian Muslims. Race and religion started to be used by politicians since the labelling of one group of Malaysians as "pendatang". Following this, Biro Tata Negara (BTN) was set up with the specific purpose of indoctrination about "ketuanan" (superiority) of one race and religion over all the others. National schools took on the character of religious schools and children were subjected to discrimination based on race and religion. With all this groundwork done, then comes Zakir, a self-proclaimed authority on Islam to preach his brand of Islam that contrasts with the teaching of the Prophet. For example, the Prophet had said "to you yours, and to me mine", but Zakir disagrees with this. Zakir says the whole world should be Muslim as all other faiths are fake. He teaches that a corrupted Muslim is a better leader in a multi-racial country than the cleanest non-Muslim. On another score, there are calls for Pakatan Harapan to reflect seriously on the reasons the voters seem to be abandoning it so soon after having given it overwhelming support in the 14th general election. Harapan started off well, making appointments to some critical jobs and standing firm despite a hue and cry from some quarters. The people then asked when the promises in the manifesto would be implemented. The "lawak-lawak" (jokingly given) reply that the promises in the manifesto were made not expecting to win the election was disastrous to the credibility of Harapan. It amounted to saying that Harapan had lied in the manifesto and this brought H's moral standing down drastically in the eyes of the voters who had voted Harapan on the strength of those promises. 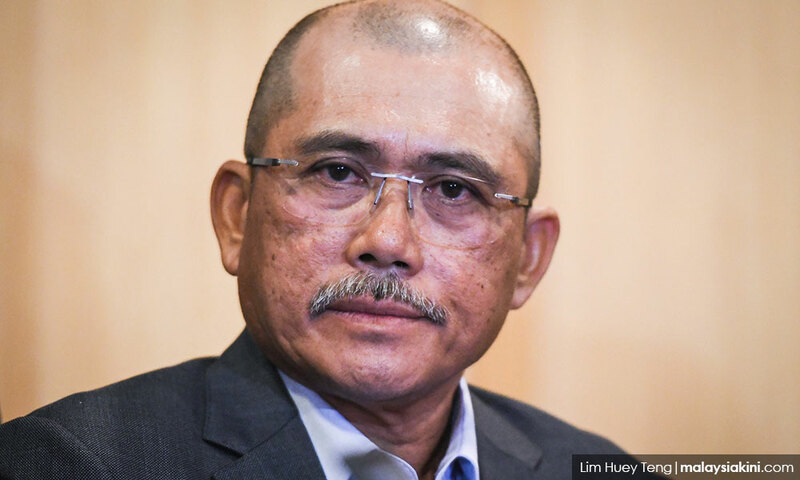 Then there was the case of Ronald Kiandee (above), the Public Accounts Committee chairperson, who jumped the fence and Prime Minister Dr Mahathir Mohamad had insisted that he should stay as chairperson because he was in the opposition when he was appointed. What sort of logic was this? It amounted to arrogance and disregard for Harapan's own rule that the PAC chairperson must be from the opposition. When the issue of ministers with fake degrees came up, again it was brushed aside, showing that Harapan had no moral courage to do the right thing. This bending backwards to brush aside matters like this smack of arrogance. So, the attitude that "I will not bow to public pressure" must change. It did in the case of the PAC after Permatang Pauh MP Nurul Izzah Anwar's resignation and possible resignations by the rest. But why had such action to be taken to show disgust before doing the right thing? Likewise, Harapan had promised to stop racism and improve race relations. 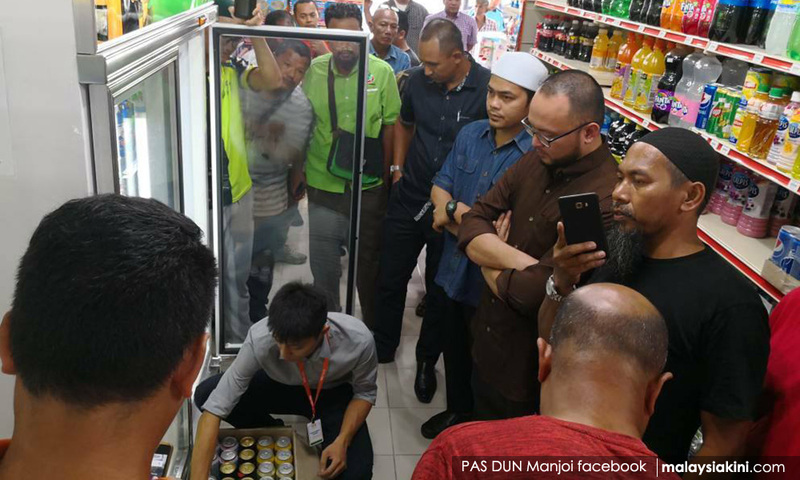 But no action was taken against the "samsengs" (rowdies) in Manjoi who trespassed into a convenience store and threatened to break the beer bottles if they were not removed. And the Negeri Sembilan Menteri Besar Aminuddin Harun had the temerity to ban the sale of beer in a golf club. Harapan must seriously start implementing the promises it had made. If there is genuine constraint in implementing something, then don't make "lawak-lawak" excuses but talk straight and explain in a gentlemanly manner. And, of course, money matters mean a lot to the lower income groups. Promises were made to help them.